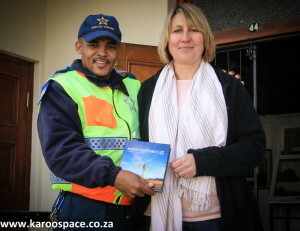 Marita Holtzhausen of the Tankwa Tented Camp has a sneak preview of Karoo Keepsakes II. Aah, the Karoo smousing season has begun! The flowers have just begun to disappear from Namaqualand and we doughty smouse (traders) have begun to criss-cross the vast countryside, our old bakkies laden with product. 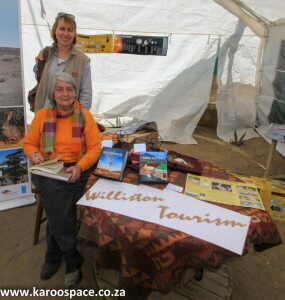 Author Julie du Toit and local tour guide Shirley Muzerie at our Williston Festival stand. 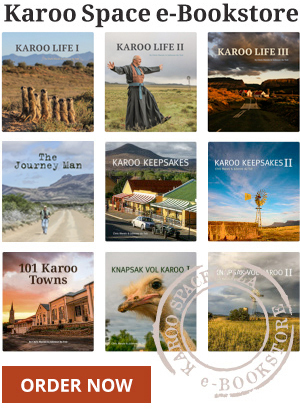 Some drive their cheese around, others are in little refrigerated trucks full of prepared deli meats – and the Karoo Space bakkie is packed to the gills with boxes and boxes of Karoo Keepsakes, both I and II. I had to keep the back tyres well inflated on our trip to the Great West: Graaff-Reinet, Murraysburg, Victoria West, Loxton, Carnarvon, Williston, Calvinia, Tankwa, Brandvlei and all points in-between. A delighted Boeta Gammie of Williston, who features in Karoo Keepsakes II. More than 20 heavy boxes of books went travelling, on their way to our network of little shops across the Karoo. At the Williston Winter Festival, local tour guide Shirley Muzerie sold the books at the entrance, despite wind and dust and the grubby fingers of sosatie-munching festinos. We left a couple of boxes with Elmarie Naude of the Williston Mall (a top Keepsakes outlet) and moved on to Calvinia, for a drop-off at Die Hantam Huis. As we travelled, linking up with the infamous Calvinia bakers, the Van Rensburgs, we picked up more and more great stories. A few parties took place. Memci Van Wyk of the Calvinia Museum, which is also a new Keepsakes outlet. 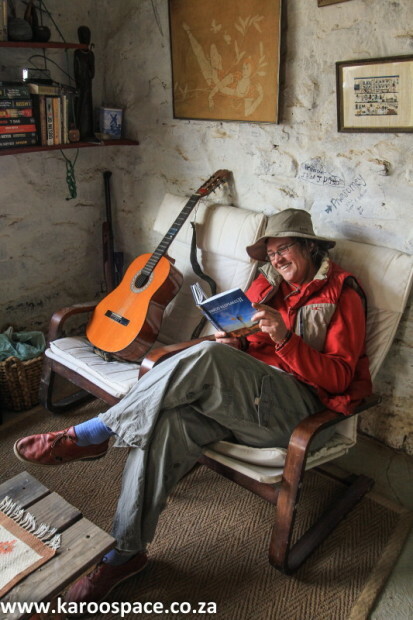 Jules was given an impromptu lesson in koeksuster preparation up in Brandvlei, I discovered some fantastic ruins with back-stories in the early light, we both feasted at a cheese farm and ended up in Carnarvon with Leon Swanepoel, Windpump Maestro Supreme. We installed Leon’s workshop as our latest Karoo Keepsakes outlet, and his wife Alida made a great display of our books. Everywhere we went, people asked us: are you collecting more material for Keepsakes III? 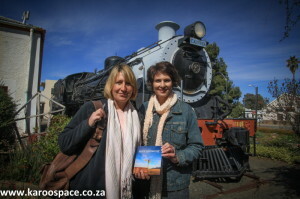 Spaceport Karoo – Where R U?